Explain how would you determine whether an item is material? Materiality refers to relative significance of a particular matter in the context of financial statements as a whole. A matter is material if its omission or misstatement may influence the economic decision of the user of the financial statements. The assessment of what is material is a matter of professional judgment and includes consideration of both the amount (quantity) and the nature (quality) of misstatements. Examples of qualitative misstatements are inadequate or inaccurate description of an accounting policy when it is likely that a user of the financial statements could be misled’ by description. For balance sheet accounts errors of less than 1% of total assets may be immaterial. For income statement accounts errors of less than 1% of sales or 5% of net profit before tax may be immaterial. Net profit of Reed Ltd. for year ended December 31, 20 x 7, after charging remuneration of CEO Rs.5.2 million amounted to Rs.990 million you have noted that the director has charged personal traveling expenses amounting to Rs.O.8 million million to business expense. What will be the impact on audit report? The auditor considers materiality in evaluating the effect of misstatement. In this case, the amount of misstatement is less than 1% of net profit. The auditor will therefore have to issue a qualified opinion. Give FOUR examples of qualitative aspect of materiality. In the following cases, even if the amount is not material, the true and fair view may be impaired. 5. Error that may convert a loss into net profit and vice versa. ISA 320 states that the auditor considers materiality at both the overall financial statement level and in relation to class transactions and account balance level. Explain your understanding of the above requirement. At the planning stage the auditor considers an acceptable level of materiality so as to detect quantitatively material misstatement. For instance, the auditor may asses, using his professional judgment that 5% of total assets is material. Materiality at class of transaction and account balance level is the maximum amount of error in an account balance that the auditor is willing to accept and still issue an unqualified opinion. 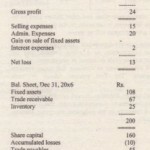 For example if total ,assets are Rs. 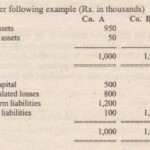 10 million, the materiality level at financial statement level may be assessed equal to 5% of total assets, that is Rs. 500,000. The~amount of -Rs.~500,000 then will be allocated to individual account, If inventories ate Rs. 2,000,000, the materiality level for invent’9ry.is 5%, RS. 100,000. However, it is not usual to allocate the fnateriality level to individual accounts on pro rata basis. The auditor used his professional judgment in allocation of materiality level. For instance, since cash is more susceptible to theft, a lower materiality level may be allocated to cash than for example, to plant and equipment. Discuss materiality concept in relation to an audit of financial statements. An item is material the misstatement or omission of which (in the perception of auditor) may affect the economic decision of the users of the financial statements. The presumption is that such users have reasonable knowledge of business, economic activities and understanding of financial statements including inherent limitations of financial statements. At what stages of audit, the auditor uses materiality concept? (a) Nature, timing and extent of risk assessment procedures. (b) Identifying and assessing the risk of material misstatement. (c) Determining nature, timing and extent of tests of controls and substantive procedures. 2. Expressing an opinion, which involves: evaluation of misstatements to determine whether a modified or unmodified opinion is to be issued. Materiality level determined by the auditor may change during the audit. (2)Materiality level for a particular class of transaction or account balance and disclosure. Materiality depends upon auditor’s professional judgment. The criteria may be expressed as percentage of total assets, revenues or net profit before tax. For Statement of Financial Position, 5% of total assets may be considered as material. For Income Statement Accounts, 1% of sales or 5% of net profit before tax may be considered as material. (a) Sajjad is the audit senior on the audit of Hameed Limited (HL). Upon his manager’s instruction Sajjad had determined the acceptable materiality level to be Rs. 10 million at the initial planning stage. However, at the time of evaluating the results of audit procedures carried out at the interim stage, he has reduced the materiality level to Rs. 7.5 million. (i) Identify the possible causes which motivated Sajjad to reduce the materiality level. (ii) Discuss the impact of reduction in the materiality level on audit risk and the audit procedures to be performed. (b) During the course of an audit, both quantitative as well as qualitative misstatements need to be considered. Give four examples of qualitative misstatements. – a change in the auditor’s knowledge as a result of performing audit procedures. (ii) There is an inverse relationship between materiality and the level of audit risk. This relationship is considered by an auditor in determining the nature, timing and extent of audit procedures. reduce the detection risk by modifying the nature, timing and extent of planned substantive procedures. (i) Inadequate of improper description of an accounting policy when it is likely that a user of the financial statements would be misled by the description. (ii) Failure to disclose the breach of regulatory requirements when I t is likely that the consequent imposition of regulatory restrictions will significantly impair operating capability. (iii) Non disclosure of directors personal expenses, charged to the company even if they are insignificant. (iv) Non disclosure of failure to meet debt covenant requirements. (v) Illegal payments which may not be material but if revealed may have severe repercussions.